IBM is celebrating the first birthday of Watson this week. I had the opportunity to brainstorm some of the short- and long-term meanings of Watson in health care this week at HIMSS 2012 in Las Vegas. When most people think of Watson, an image of the Jeopardy! game featuring the technology versus the legendary player Ken Jennings comes to mind. However, Watson has the potential to play a transformational role in health care, globally – for population health, and for the patient N=1. Watson is a supercomputer’s supercomputer: underneath the formidable hood are dozens of programs that enable Watson to analyze millions of patients’ data — not simply “mine” but develop probabilities about disease risks and optimal treatment options that can inform collaborative care. In the immediate term, IBM is working with WellPoint, the health plan giant, and the Cleveland Clinic, to improve patient care and outcomes. Watson is also helping Cedars-Sinai get to better cancer diagnoses and treatment options for breast, colon and lung cancers. At year one, Watson is still an infant – we are in the Getting Ready for Watson stage, as described by Manoj Saxena, General Manager for Watson. Health Populi’s Hot Points: How will Watson mature and grow into its full promise for health and health care? There are countless possibilities: at this nascent stage in Watson’s life, it will be important for IBM to identify low-hanging fruit projects that (1) impact patient outcomes and (2) have solid business cases for lowering the costs of care and optimizing resource allocation, a point emphasized by Cleveland Clinic’s Chris Coburn, Executive Director of Innovations. Beyond oncology — already a huge challenge — Watson has many paths at this early crossing. IBM would welcome ideas from the marketplace: where do you think Watson should go next, and in the longer-term? 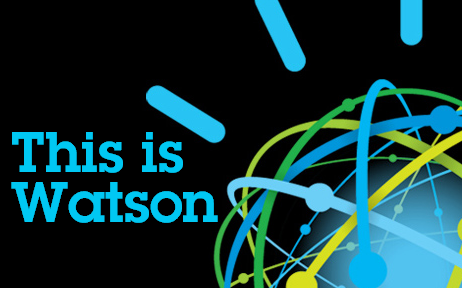 Watson engages in data conversations; IBM wants to do the same. Previous Post Do Medical Homes Really Result in Better Diabetes Care?